Megan McDonald is the creator of the popular and award-winning Judy Moody and Stink series. She is also the author of two Sisters Club stories and many other books for children. She lives in Sebastopol, California. Peter H. Reynolds is the illustrator of the Judy Moody and Stink books and the author-illustrator of THE DOT, ISH, SO FEW OF ME, THE NORTH STAR, and ROSE'S GARDEN. He lives in Dedham, Massachusetts. 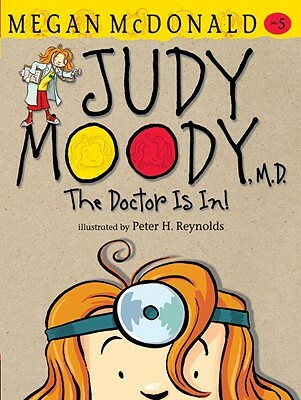 [McDonald] finds ample comedy in the way children mishear words and mangle information [and] Reynolds' buoyant sketches depict Judy's ups and downs in this fifth book of a series that proves laughter can be contagious. Brings back the irrepressible heroine as her class studies the human body. The author's humor and language are right on target. . . . As always, there are facts to be learned and loads of puns and playful language to entertain readers. This is another winner.